Registration: Call in, come in, or register online. 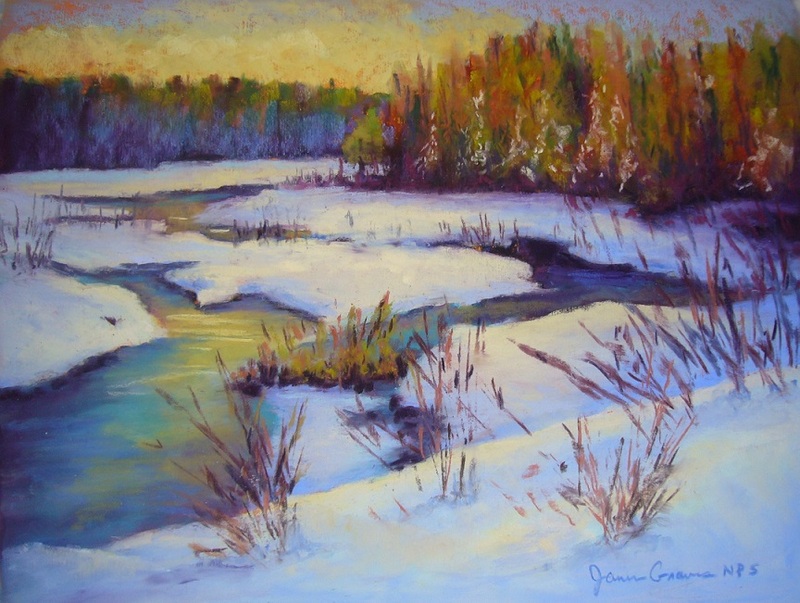 This one-day workshop will delve into the use of gorgeous color in pastel. Pastel is an immediate medium that needs no mixing or drying. The way an artist chooses to use color can result in many variations, and create some exciting mixes by using hue and temperature. Color application may be line drawn or painterly. Janis will demo and you’ll try various techniques during this class. In addition to color, this workshop will also touch on composition - when to embellish as well as when and what to edit. Subjects may be varied to individual preference, so bring the photo references that interest you most. We will work from photos and/or laptops or ipads. Most of all we’ll have a fun day! (Janis likes to use sanded paper such as Wallis paper. Janis can supply this paper for $5-$7.50 per sheet, depending on the size).